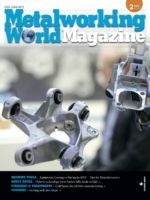 Crash tests have always had an important role for the automotive industry, providing manu­facturers and original equipment manufacturers (OEM) in-depth know­ledge on the structural and energy absorption behavior of the vehicle and its components as well as the effects of the crash on the vehicle occupants. The results thereby obtained flow directly into the development process. With increasing complexity and continuing digitalization in vehicles, the amount of on-board and in-dummy measurement channels is growing as well. Continental Safety Engineering International GmbH, based in Alzenau, has been working together with Kistler since 1993, primarily in the area of data acquisition for sled tests as well as crash tests and headimpact crash tests (Free Motion Headform, FMH). In its own test and development center in the Lower Franconia region of Germany, the subsidiary of the international technology company has already realized some 300 series development projects, over 6,000 crash tests and more than 200 simulated projects since its founding in 1992. With the intro­duction of the DTI technology, Kistler opens the way for a simple and extensive modernization of the existing crash test measurement equipment. This con­vinced Continental Safety Engineering as well: in 2015 Kistler was commissioned to expand the DAS and to upgrade the existing in-dummy sensor systems with the new DTI technology. At Continental’s development site, approximately 550 sled tests and 450 crash tests are currently performed per year. “With such a high number of tests, we wanted to bring our test equipment up to date with the latest technology to ensure efficient processes and guarantee accurate, reliable measurement data,” says Thomas Wild, team manager for Measurement and Video Technology at Continental Safety Engineering. “In general, the requirements on the test scope are increasing and with them the number of vehicle measurement points,” continues Wild. The number of sensors needed in a crash test is constantly increasing: while just 246 analog measurement channels were controlled and processed in 1993, the number can exceed 600 today. At the same time, the installation space available in the vehicle is decreasing. A further motivation was to increase the reliability of the system and to minimize the error rate. Setup times needed to be shortened and the number of analog input channels reduced”. Taking on a key role in the DAS expansion for the measurement of the in-dummy data is DTI technology. This uses an integrated data bus system, where signals from a wide range of sensors are converted into digital output signals by means of digitalization modules, so-called DiMods. These are installed directly in the Kistler sensors or, with existing sensors, via available Kistler DTI integration solutions. The digitized sensor signals are then recorded during the crash event by a central Kistler DTI data recorder mounted in the dummy. A single cable for data, synchronization, triggering and power supply extends from the dummy to the vehicle communication box. Post test, the data is downloaded via the vehicle communication box for evaluation by the facility com­puter on Ethernet. In early 2014, Kistler began the DTI integration of ten existing H3 dummies; the upgrade for a WorldSID dummy followed at the end of the year. The challenge with the H3 dummies was to integrate this technology in the existing processes and infra­structure. With the analog measurement technology, each sensor channel had to be plugged into the data acquisition system by hand. This would have resulted in long setup times with a potential for error. Used as the onboard system at Continental is the latest generation of Kistler technology – the KiDAU data acquisition unit. The compatibility of the existing hardware with the new hardware is given and the ‘CrashDesigner’ software from Kistler was adapted and expanded to meet Continental’s needs. The DTI technology can be installed in all dummy models – including THOR-M: Continental is now able to reliably combine a number of different devices consisting of tried-and-tested and new hardware. As a result, it was not necessary to completely convert all technical devices to the new technology, thereby saving the company a great deal of time and money. “With its technical expertise and many years of experience in the field of vehicle safety, Kistler has convinced and proven with this project that DTI technology is the most suitable measurement system on the market for indummy installations. Kistler knows what is important in highly complex crash tests – especially when converting to DTI technology. 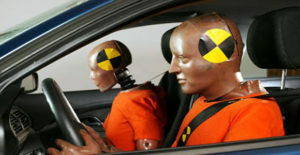 Thus, we can continue to guarantee crash tests at the highest level in the future. The sensors deliver not only accurate measurement data, they are also extremely reliable and durable. For us, this is the perfect combination. We are therefore already in intensive discussions for other projects,” says Wild, as he summarizes the successful collaboration with Kistler.